Zodiac Swim School first opened its doors to the community in 1978 and, since that time, has earned the confidence of thousands of families! Countless children and participants have gained aquatic skills, self-confidence and a love of the water through high-quality, low-ratio Zodiac programming. 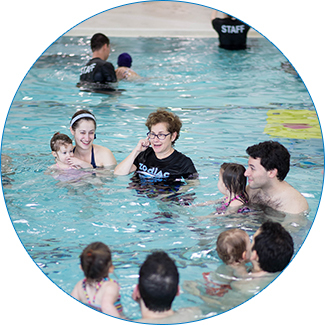 Over the years, Zodiac has grown to become one of the largest private swim schools in Canada and we take great pride in our reputation for providing top-notch, personalized service to all of our students. In addition to excellence in aquatics, the Zodiac name also stands for quality and caring in the summer camp industry. Zodiac Day Camp opened in the summer of 1998 and quickly became the popular choice for many families seeking fun and exciting, specialized, and diverse summer experiences for their child(ren). Zodiac programs provide an enjoyable, unique and challenging opportunity which strongly appeal to kids and parents alike! Our goal is to foster skills while providing all participants with an exciting and memorable experience. We offer age-appropriate programming that will build your child’s self-esteem and confidence while enhancing his/her personal growth and development. We offer a safe and welcoming environment for all children to learn and play. The caring, qualified Zodiac staff view each child as an individual with unique needs and goals. From infants and toddlers to the teenage years and beyond, there is a program for everyone at Zodiac!